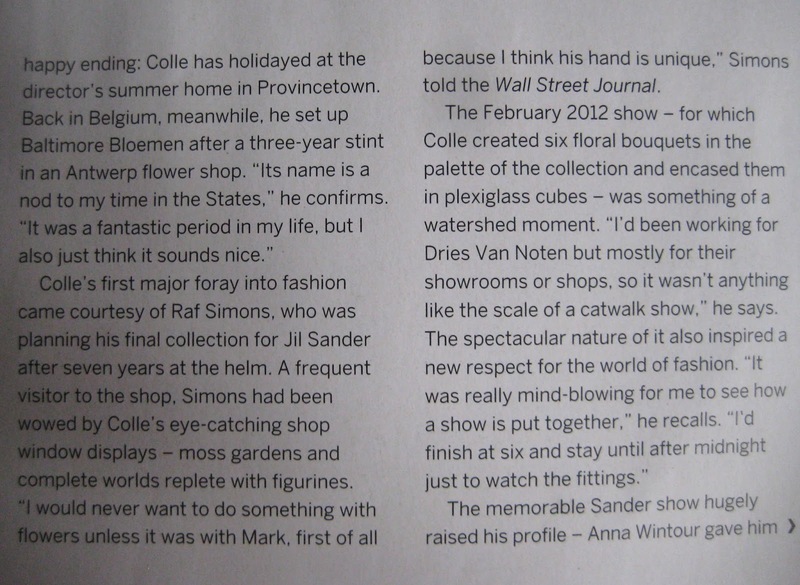 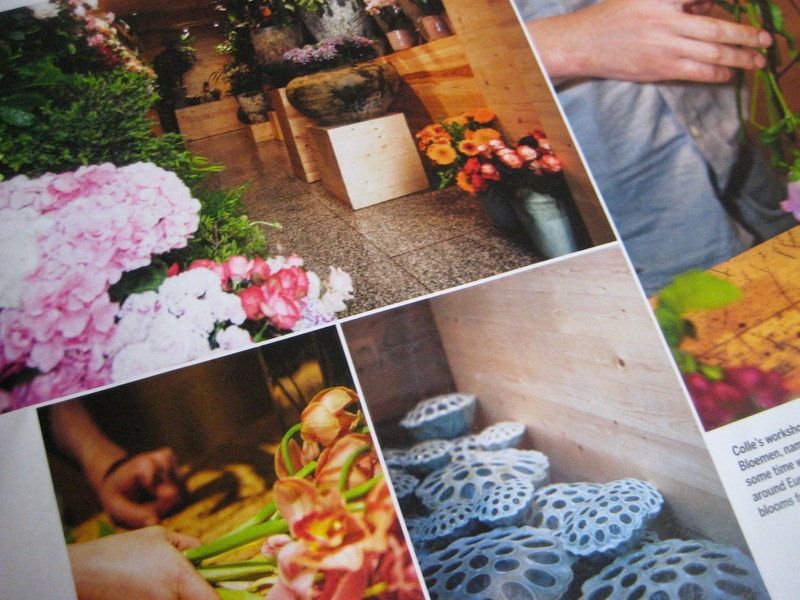 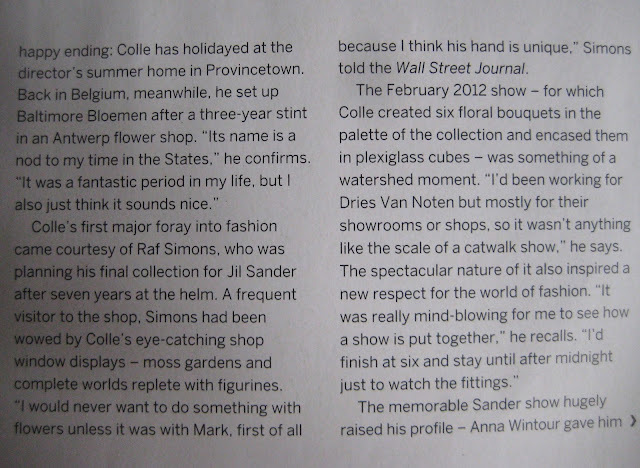 I recently read this interesting article about Antwerp-based florist Mark Colle. 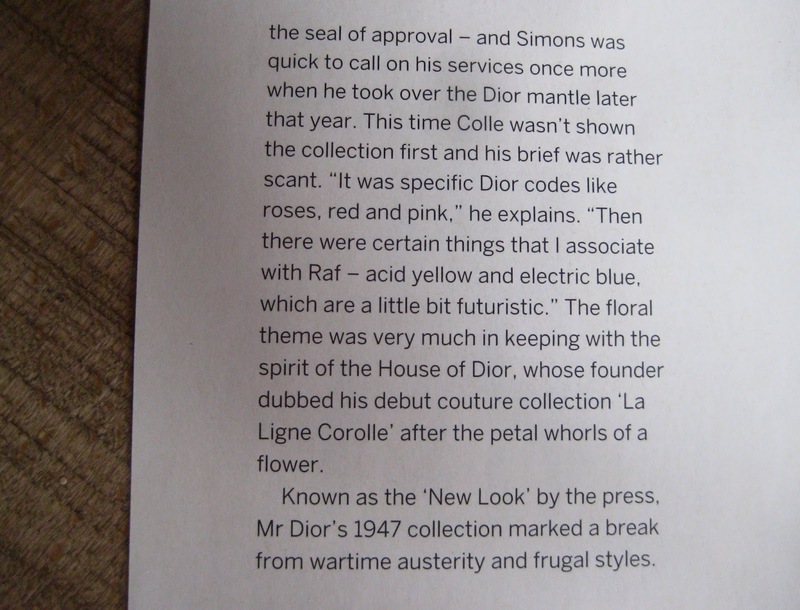 He has worked with Raf Simons and Dries Van Noten for their Paris fashion shows, and has proved to the world that flowers can really add an extra dimension to fashion. 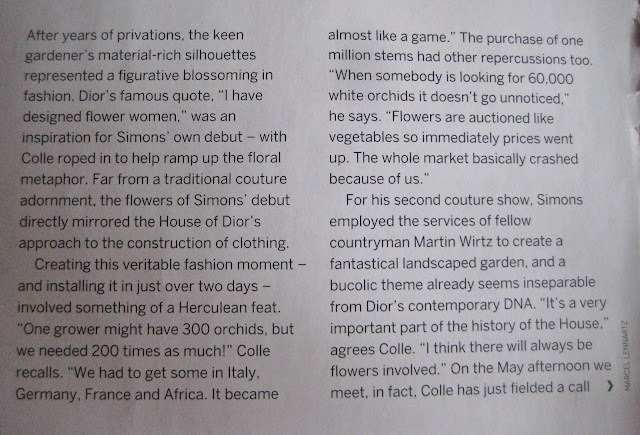 Raf Simons' first show for Dior last year impressed me so much, partly because of the beautiful collection, but mainly because of the flower walls designed by Mark; I'm still amazed by it. 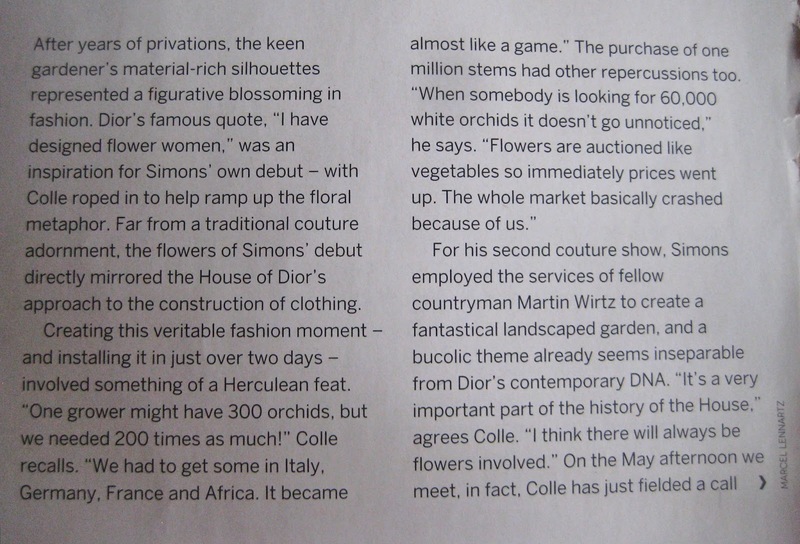 I couldn't keep this article to myself and for the love of flowers, I'm sharing it with you today.